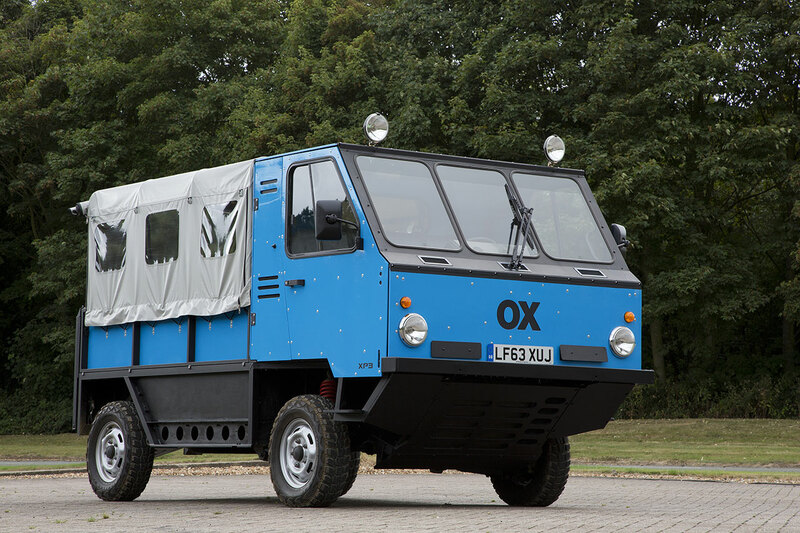 The world’s first ‘flat-pack’ truck – the Global Vehicle Trust OX – has been revealed in London, designed to provide low-cost all-terrain mobility for remote parts of Africa and the developing world. Across Africa and other developing world, there is intense need for improved transport, for both everyday living as well as emergencies. 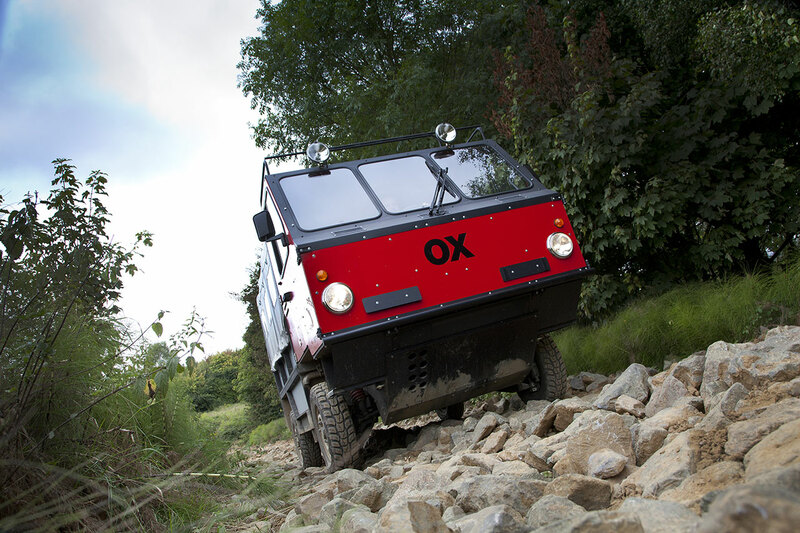 The OX has been designed specifically to tackle a host of transport challenges, and to undertake crucial daily tasks, such as collect drinking water and transporting grain, fertilizer or building materials. It is unlike any other vehicle and has no direct competitor – whether from a concept, performance or pricing point of view. 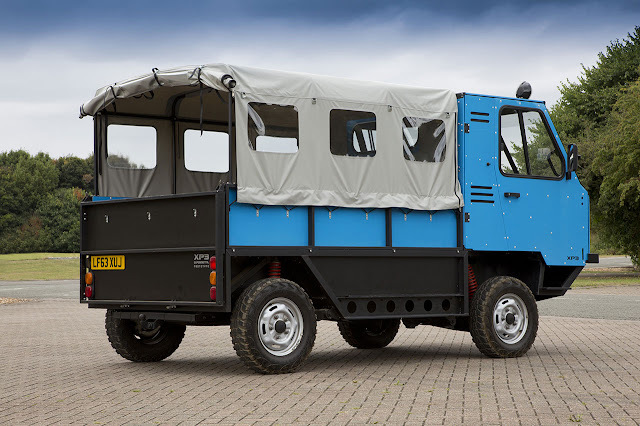 The OX has been designed to offer superb all-terrain ability, but it also has a huge and adaptable load carrying capability. The packaging is a key triumph of the OX project: the overall vehicle length is far shorter than a large SUV, and yet it can carry a payload of 1900kg (approximately twice the capacity of most current pick-ups) with a load volume of 7.0 m3. Based on EU size guidelines, it can seat up to 13 people or carry eight 44-gallon drums or three Euro-pallets. Therefore, the OX not only addresses the problems with the roads; it also addresses the specific need to transport large volumes of goods and people at low cost. Beyond its revolutionary packaging design and two-wheel-drive all-terrain ability, the OX is full of design innovations. For example, the tailgate does not merely contain the load in the back; it detaches completely from the OX and can be rotated lengthways to double as a loading ramp. The rear bench seat bases also have a dual purpose. The long ‘egg crate’ frames can be removed from the vehicle and used as ‘sand ladders’ under the wheels to help the OX traverse challenging soft ground. 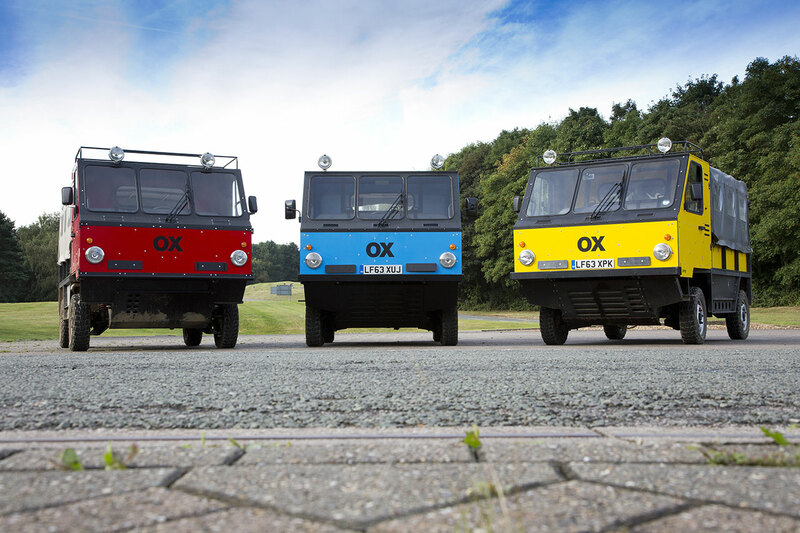 Professor Gordon Murray said: “The OX design and prototyping programme is undoubtedly one of the most interesting and challenging I have undertaken during my 45 years of car design, including my years in F1. “The added challenge of a flat-packed vehicle design over the already tough targets for cost, durability and weight saving made for a fascinating and stimulating journey from concept to prototype. Sir Torquil Norman said: “Feedback we have had so far from contacts in Africa and with aid agencies has been very positive. OX is about making a difference now, being part of something ground-breaking and unique. Most of all it presents a real opportunity to make a fundamental and lasting difference to people’s lives.